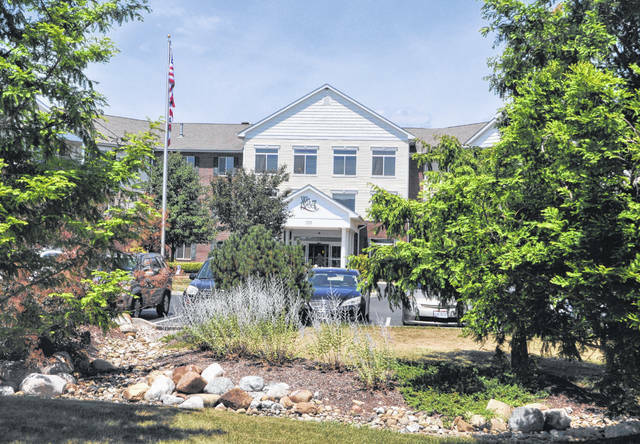 In a recent statewide survey, the assisted living program at Willow Brook at Delaware Run, 100 Delaware Crossing West in Delaware, was ranked No. 23 out of 687 assisted living facilities in Ohio for overall resident satisfaction. The assisted living program at Willow Brook at Delaware Run was ranked in the top 25 in the state for overall resident satisfaction, making it the only Delaware County assisted living facility that made the list. Delaware Run ranked No. 23 out of 687 assisted living facilities in Ohio. In Delaware County, Delaware Run’s assisted living program ranked No. 1 in resident satisfaction, and Willow Brook Christian Village’s assisted living program came in at No. 2. The Office of the State Long-Term Care Ombudsman, a division of the Ohio Department of Aging, released these results as part of its 2017 Long-Term Care Resident Satisfaction Survey. The survey, conducted through interviews with residents of nursing homes and assisted living facilities, gauges residents’ satisfaction with areas related to their care and everyday life. “For a decade and a half, the Long-Term Care Consumer Guide has helped older Ohioans and their families make one of the most difficult and important decisions in their lives or that of a loved one,” said Erin Pettegrew, acting state long-term care ombudsman. The satisfaction survey was conducted between July and December 2017. Surveyors did face-to-face interviews with a random sample of residents in each facility. A total of 12,849 residents of 687 assisted living facilities were interviewed. In addition to overall satisfaction, the survey measures how well specific aspects of the facility meet the residents’ needs and expectations. Areas explored include environment, choice and quality of meals, safety, care, staff and how residents spend their time. Full survey reports are available on the Long-Term Care Consumer Guide website at www.ltc.ohio.gov. For more information about Willow Brook, visit www.willow-brook.org. To reach Willow Brook at Delaware Run, call 740-201-5640. To reach Willow Brook Christian Village, call 740-369-0048.